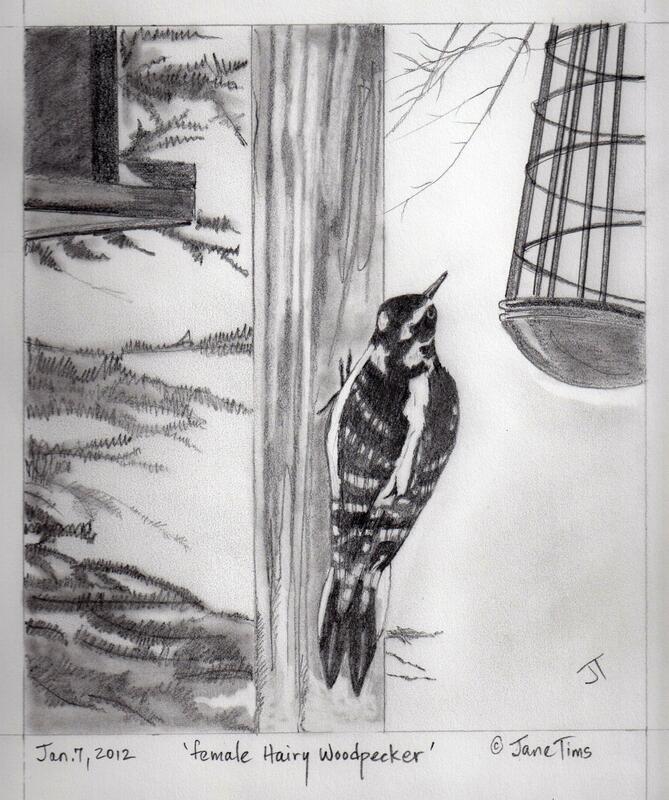 The bird feeder had a new visitor last Thursday, a woodpecker. My husband saw it at the feeder, but by the time he had the camera ready, it was gone. Undaunted, he went outside and chased the little lady through the woods until he had several photos. We identified the bird from the photos. 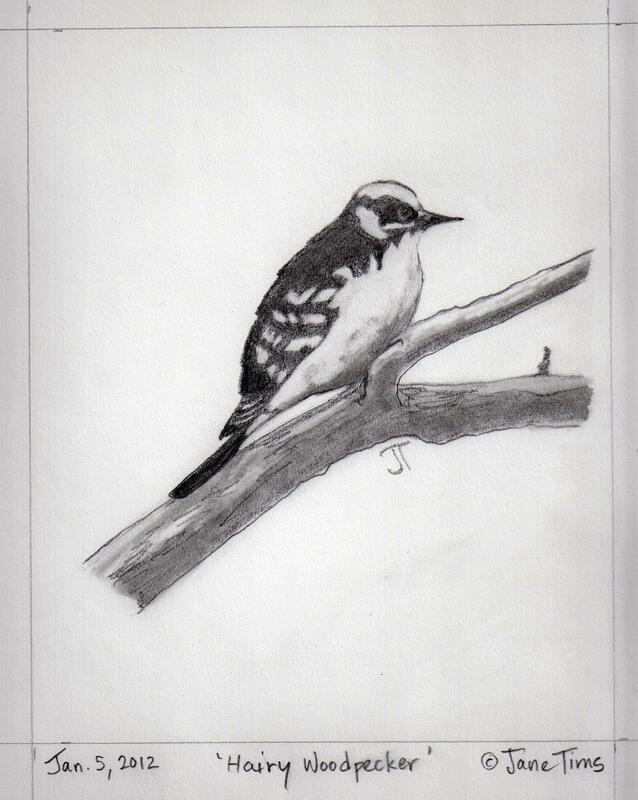 There were two possibilities, a Downy Woodpecker (Picoides pubescens) and a Hairy Woodpecker (Picoides villosus). Both have a white stripe on the back. 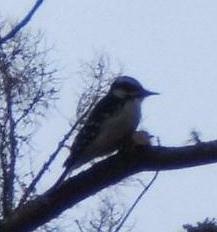 The males of both species have a red patch on the back of the head (the one at our feeder was a female). 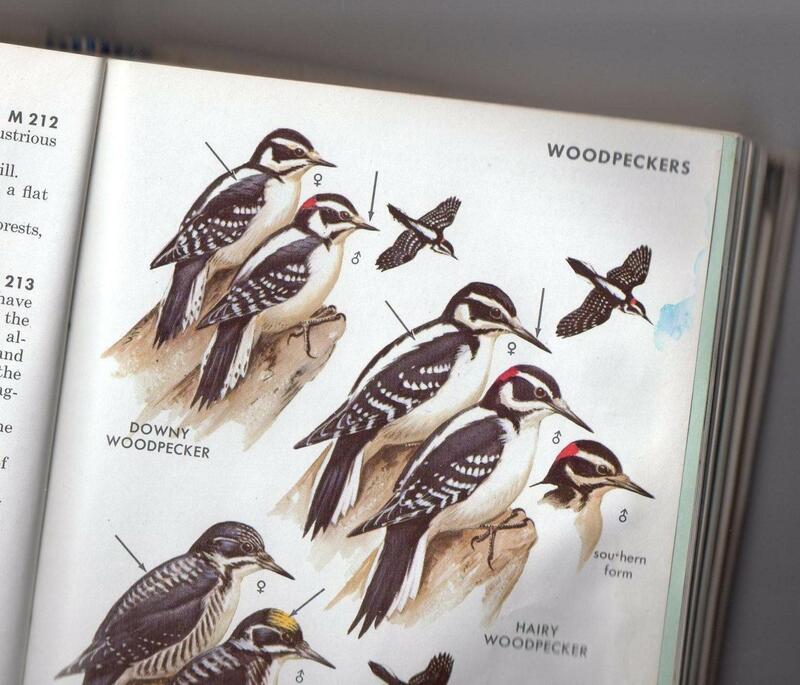 The differences between the two are body size (the Hairy Woodpecker is the larger of the two) and the size of the beak (the Hairy Woodpecker has a much longer beak, about 3/4 of the depth of the head). 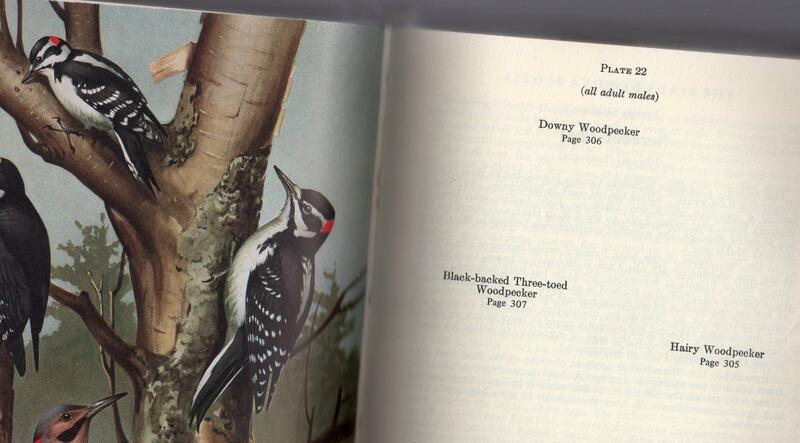 We are reasonably certain our bird was a Hairy Woodpecker. Its beak is noticeably long. Also, the round cut branch on the tree in the photo (in front of the bird’s feet) is at least an inch in diameter, making the length of this bird about nine and a half inches.